An incredibly picturesque event held at the beautiful Mulberry Mountain site in Ozark, Arkansas, Wakarusa brings you more than 150 acts over 6 amazing stages across 4 days. With music from the likes of The Black Keys and The Flaming Lips to Pretty Lights and Snoop Lion having hit the line-ups since its inception in 2004, expect it to only get even better every year. 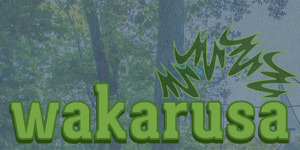 And it's not just about music; Wakarusa prides itself on being a uniquely creative experience with plenty of art installations and projects going on throughout the event.